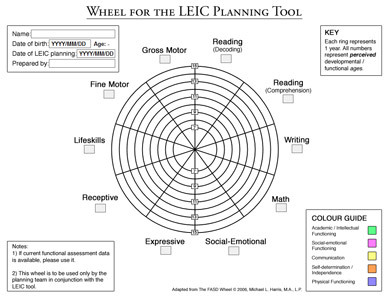 The LEIC Wheel is a desktop application that provides a visual representation of the learner's perceived functional and developmental age in a number of different categories. This data can be saved, and exported as a PDF. It compliments the LEIC Planning page. The application is available for Windows and macOS.